When it comes to affordable family sedans that are efficient and confident on the road, it’s tough to beat the 2017 Chevrolet Malibu performance. Offered with a pair of turbocharged engines and even a hybrid engine, Kelley Blue Book calls the new Malibu a “formidable competitor,” and it’s hard to argue. The Malibu produces up to 250 hp with the 2.0L engine and gets up to an EPA-estimated 49 mpg city with the hybrid. Take a close look at how the Malibu is able to achieve those kinds of numbers, and come take it for a spin near Clio, MI at Patsy Lou Chevrolet in Flint, MI. Turbo 1.5L – The first three trim levels in the Chevy Malibu lineup come with a turbocharged 1.5L ECOTEC® inline-four engine with a six-speed automatic transmission. This system makes 160 hp and 184 lb.-ft. of torque and gets an EPA-estimated 36 mpg/highway and 27 mpg/city. Turbo 2.0L – Opt for the turbocharged 2.0L ECOTEC® inline-four engine and you’ll get a nine-speed automatic transmission and a total output of 250 hp and 260 lb.-ft. of torque. Even with that much power, you’ll get an EPA-estimated 33 mpg highway and 22 mpg/city. Hybrid – The hybrid model comes with a 1.8L four-cylinder engine paired to an electric motor and hybrid battery pack. This system combined to push out 182 hp and 177 lb.-ft. of torque while getting an EPA-estimated 49 mpg/city and 43 mpg/highway. The 2017 Chevy Malibu is able to achieve its inspired performance capabilities for a variety of reasons. Both of the Malibu engines come with Variable Valve Timing (VVT). The 1.5L model gets an auto stop/start system that turns the engine off while idlng, as well ad Direct Injection (DI). The 2.0L engine, on the other hand, gets Spark Ignition Direct Injection (SIDI). 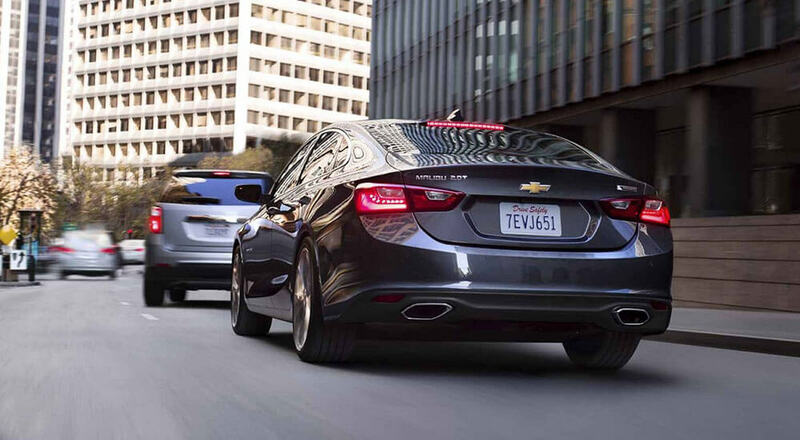 Ready to check out the new Chevy Malibu in person? Test-drive it today at Patsy Lou Chevrolet, located at 5135 Corunna Road in Flint, MI. We’re open Monday through Saturday, and you can reach us directly at (810) 230-4123.